Those who follow this blog regularly know that Maria, one of the dedicated volunteers of our Homeward Bound Memorial Garden, has abandoned us for a few weeks to run around Eastern Europe. 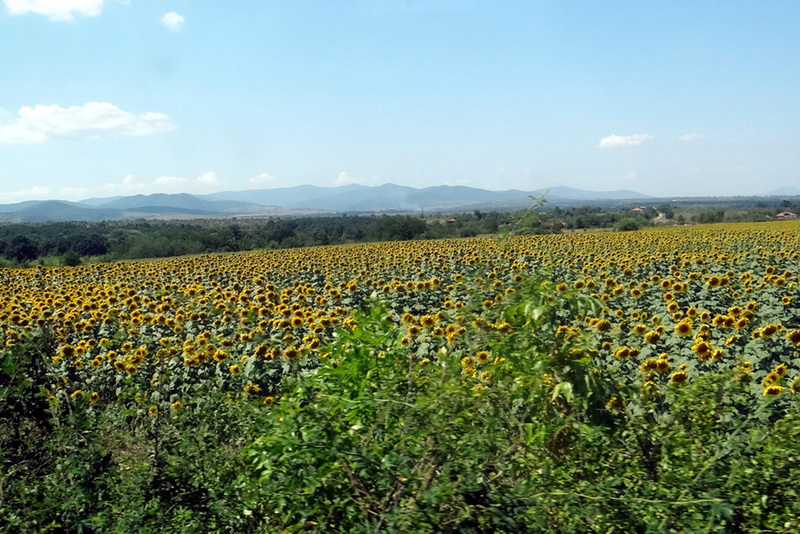 She forwarded this photo of Sunflowers grown in Bulgaria. The sheer quantity is impressive and creates a stunning impression. 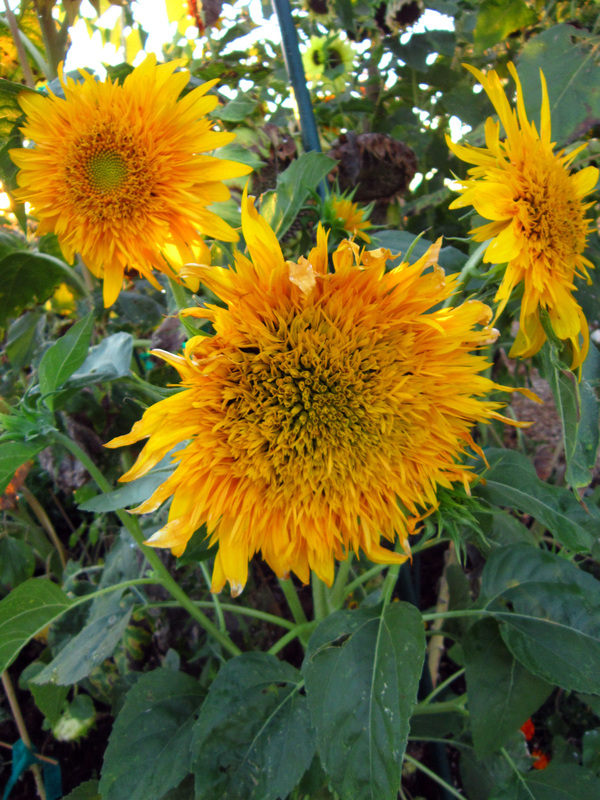 I’m a bit biased, but I’m not sure they can compete with those growing in the Sunflower bed in Maria’s absence. and this one – lemon sherbet. 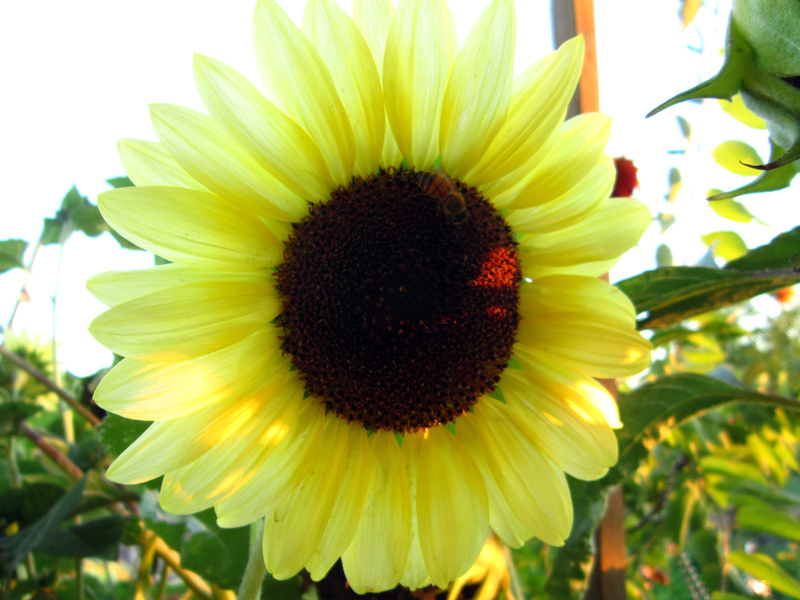 Did you know that the sunflower head will track the sun throughout the day? That would be a fun project. Especially in such a large field. 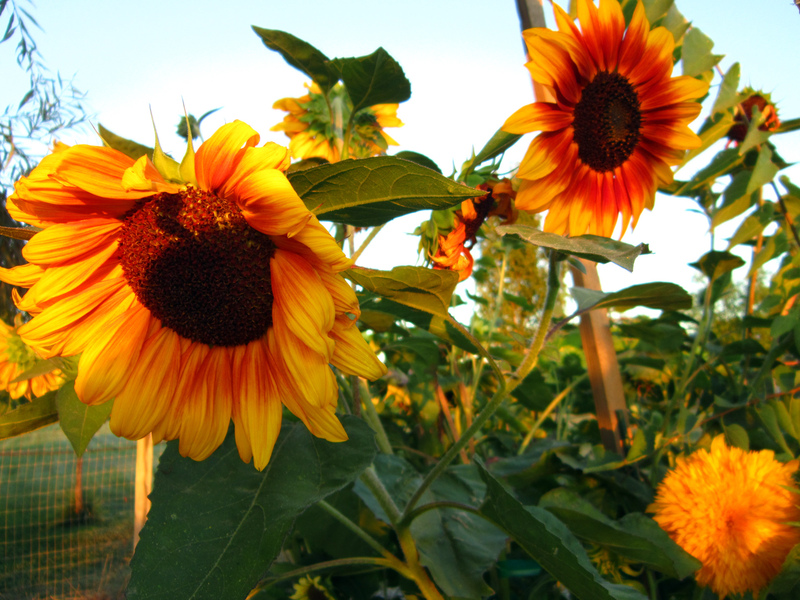 I would love to see a time lapse of these sunflowers. I’m looking forward to further posts. 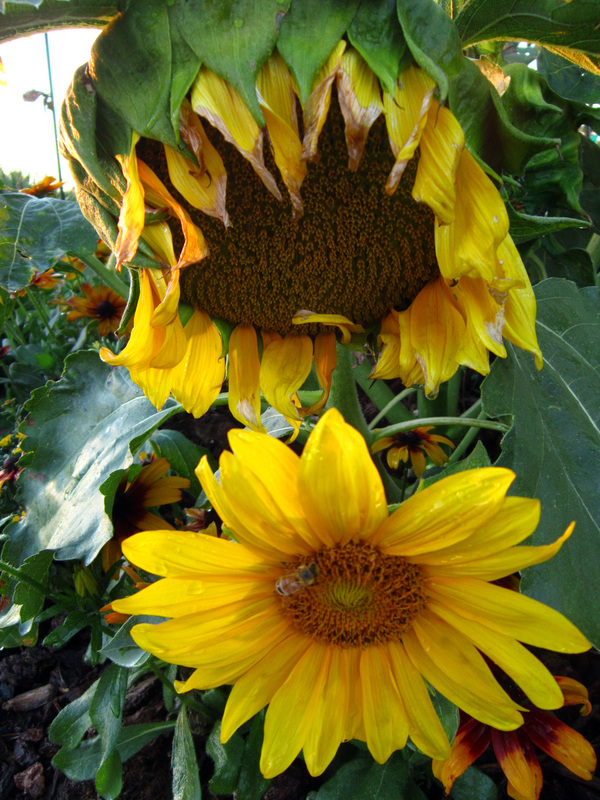 I’m glad to see the sunflowers are still putting on a nice show. It amazes me how many varieties have done so well in such a small space. 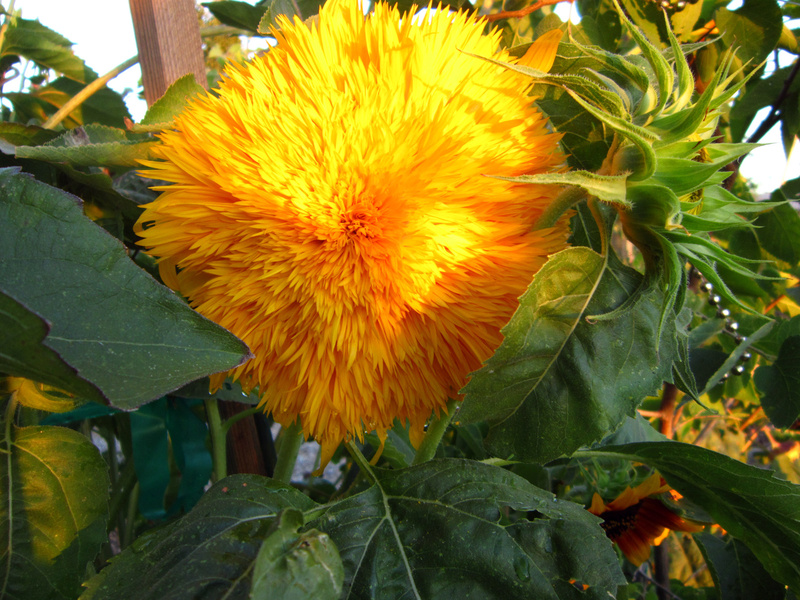 Can’t wait to look through the catalogs this winter to add more varieties next year. Better expand that bed 🙂 !! Where is this garden? Is it open for the public to see? It is a memorial garden at the rescue. Not generally open to the public, but available to all who volunteer, adopt, foster, train and rescue our beloved pups.